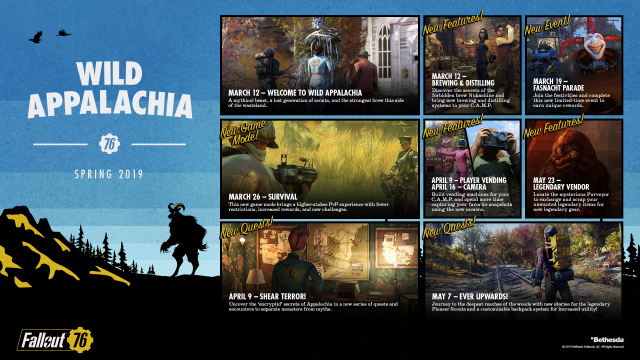 Players will be able to live out their dreams as the Appalachia’s premiere bartender, first starting their brewing journey by attending the Vault-Tec University. Taking your acquired skills to the next level, by taking advantage of the new Brewing Station. Using this workbench which you can learn to construct from the “Wasted on Nukashine” quest, you’ll add the ability to craft beers, cocktails, wines and spirits to your C.A.M.P. Just as you would imagine while they do bring a good temporary buff, there are some side effects which include a mild hangover. 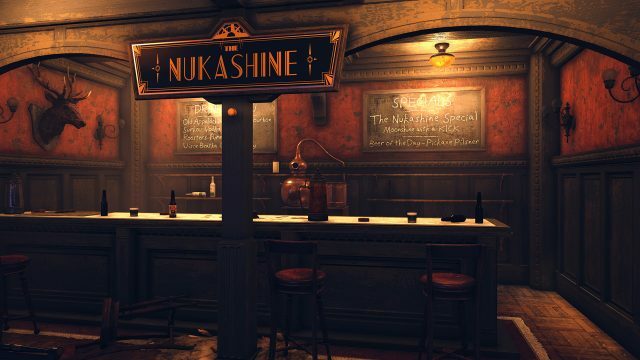 Start the “Wasted on Nukashine” quest to acquire the Brewing Station workbench. Fresh Effect: Melee attacks will result in self-immolation, which also means damaging both yourself and your attackers. Vintage Effect: Not only taking on the same effects as “fresh” but also have the added outcome of setting enemies on fire from your ballistic and melee attacks. Fresh Effects: An increase in scope stability and damage against animals, but a reduced VATS accuracy. Effects: While your successful melee attacks have a chance to cause you to gain a disease, there is also a chance that it will refill you hunger meter. If you’re interested to gain more drinks to add to your bartender list simply return to Biv, the tipple teaching robot to gain two types of new repeatable daily quests. 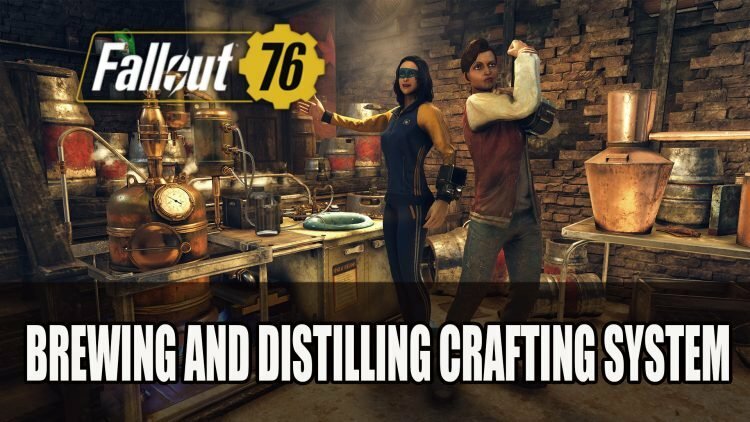 One type of quest will teach you new Brewing and Distilling recipes, while the other will let you try different concoctions with various effects.